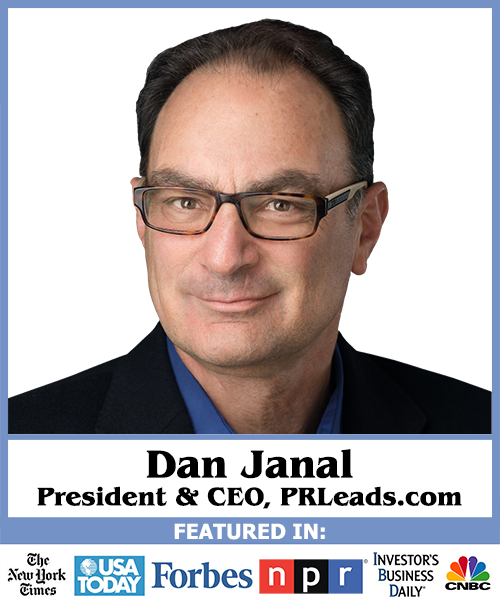 Dan Janal is Founder and President of PR LEADS Expert Resource Network. He is responsible for growing the company from startup to more than 5,000 satisfied clients over the past 15 years. He is responsible for skyrocketing sales and marketing, creating clever new products and services, establishing mutually beneficial industry alliances and delivering outstanding customer service and training. 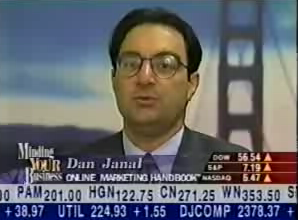 USA TODAY called Dan Janal “a true Internet pioneer” because he has more than 20 years of PR experience. He was on the PR team that launched America Online. He also handled PR assignments for IBM, Reader’s Digest, American Express, AT&T and more than 100 other high-tech companies, including many startups. He was responsible for the PR that introduced the CD ROM industry, as he served as PR counsel to Grolier and their Electronic Encyclopedia, the first piece of consumer software for CD-ROMS. Before starting a career in public relations and marketing, Dan Janal was an award-winning newspaper reporter for the Today newspaper in Cocoa, FL, news editor of the Port Chester (NY) Daily Item and business news editor for the Rockland County (NY) Journal-News. He has won writing awards from the National Education Association and the Hearst Foundation. He holds bachelor’s and master’s degrees in journalism from Northwestern University’s famed Medill School of Journalism. Dan Janal has written 6 landmark books for John Wiley & Sons that have been translated into 6 languages. 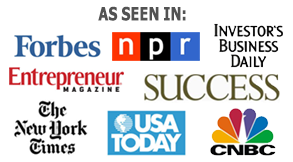 In 2013 he released two new books on Amazon, Reporters Are Looking For YOU! and Internet Marketing Confidential. Dan Janal is an inspiring business keynote speaker who helps entrepreneurs realize their dreams of creating a successful business, leading a balanced life, and achieving financial freedom. He is frequently seen on webinars, podcasts, and radio shows. He’s probably the only person who created 8 different businesses that make $100,000 a year by using 8 different business models. He’s spoken on marketing topics and futurism in six countries and four continents and have taught at Berkeley and Stanford. Dan’s one of the most creative, problem-solving persons you’ve ever encountered. 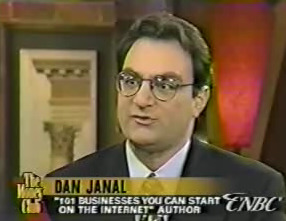 Visit Dan Janal’s keynote speaking website for more information.